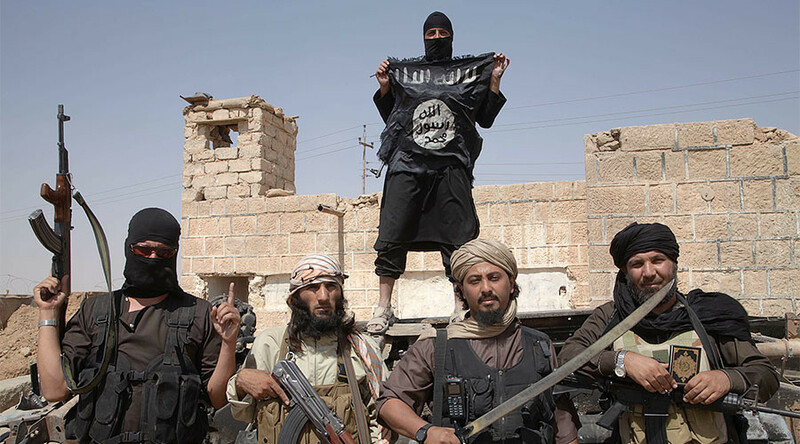 Two million people have been liberated from Islamic State (IS, formerly ISIS/ISIL) rule in the last 12 months, according to UK Defense Secretary Sir Michael Fallon. In a Ministry of Defense (MoD) statement, Fallon said the US-led coalition has made substantial progress in Syria and Iraq. “In the last year, over two million people have been freed from Daesh [IS] rule by Iraqi and moderate Syrian Democratic Forces, backed by coalition air power,” Fallon claimed. “Britain is stepping up in the fight against Daesh: the Army has helped train over 32,000 Iraqi forces — and, in a controlled and precise manner, the RAF is taking out Daesh and working hard to minimize casualties in a very difficult, dense urban environment. “Working with allies we will keep momentum, push Daesh out of Mosul, encircle Raqqa and eventually end Daesh’s reign of terror,” he said. The UK officially began bombing Syria in December 2015 after a controversial parliamentary vote on extending airstrikes from Iraq, where the Royal Air Force (RAF) had already been operating at the request of the Baghdad government. Key to the pro-war argument was Britain’s supposedly “unique” capacity to use Brimstone missiles. However, as of July 2016, and despite one recorded use, it did not appear that Brimstone had killed any terrorists, according to Freedom of Information requests by the Huffington Post. “This information contrasts dramatically with the case made by the Prime Minister [then David Cameron] for bombing when he said that the much-lauded Brimstone missile system would be crucial in cutting off the ‘head of the snake’ in Raqqa [the nominal IS capital],” Scottish National Party (SNP) foreign affairs spokesman Alex Salmond MP told the Huffington Post at the time. The UK also has troops stationed in the region providing infantry training to local militias and is involved in conducting airstrikes in Iraq and Syria. A number of British citizens, some of them former soldiers, have also become involved in fighting alongside the Free Syrian Army and Kurdish militias. 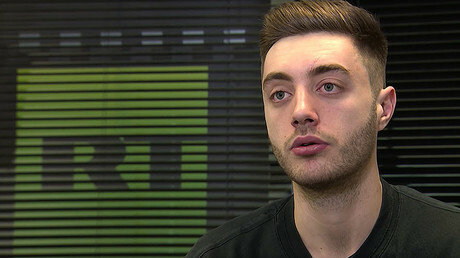 Last week, former British soldier Robert Clark, who was recently sentenced under the Terrorism Act for failing to give police the security pin to his smartphone at Heathrow Airport while attempting to fly to Iraq, told RT how he was prevented from joining the fight against Islamic State. The 23-year-old from Carmarthenshire, Wales, who served four years in the British Army, said it was wrong to arrest him because he does not pose a security threat to the UK. The real danger, he says, is home-grown Islamist extremism. “If you just look in the media… you see people going out to fight with ISIS. If they’re not stopping them but they’re stopping me then there’s something a bit wrong. “They knew exactly what I was doing… but there’s people going out there which they don’t know about going to ISIS camps, and they’re wasting time arresting me, doing all this court case, just wasting police time, when they could be following up on people who they need to be following up on,” Clark said. Britons who have managed to reach the frontlines in Iraq and Syria risk being killed in the fighting. Earlier in January, it was reported that the body of British chef Ryan Lock, who last year travelled to Syria to join the Kurdish militias, was recovered and may soon be repatriated to Britain. Lock, from Chichester, was reportedly killed during fighting on December 21, and was the third Briton to die in battle alongside the Kurds.